This project was developed as poster series in support of the STEAM (Science, Technology, Engineering, Art + Design, Mathematics) initiative. 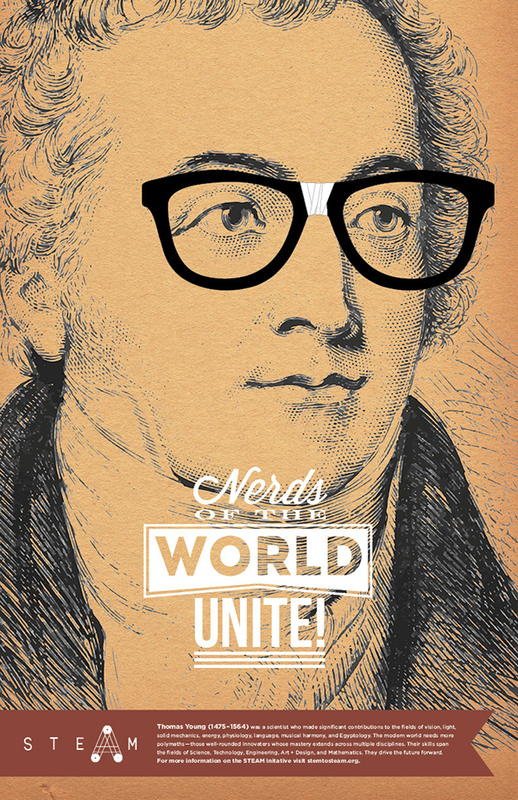 It profiles historic figures who were polymaths, individuals whose expertise spans a significant number of different subject areas. 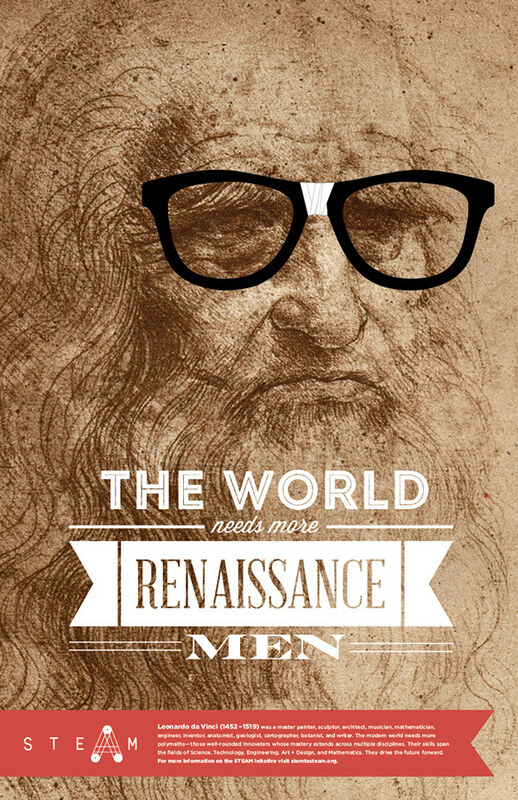 These great thinkers contributed to a variety of fields and represent the importance of varied thinking. By looking to them as inspiration, society today can realize that the STEM fields are interdependent and how the inclusion of Art + Design can only promote innovation for the future. The 3 posters represent 2 variations which could be used as the series continued to expand. 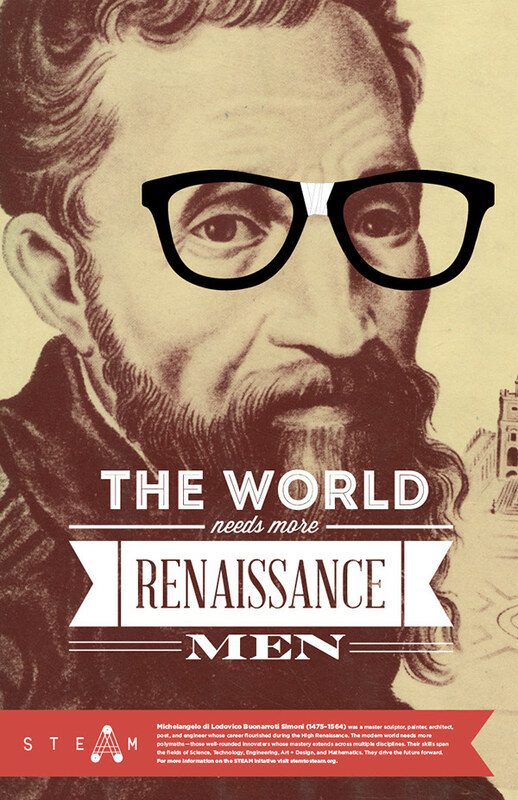 One variation (da Vinci and Michelangelo), would carry the slogan "The World Needs More Renaissance Men" while variation #2 (Thomas Young) would carry the slogan "Nerds of the World Unite". Depending on how large the series grew other slogans could be introduced as long as the cohesive elements that make it a design system carried over.